In Charlotte County Florida and surrounding areas, many homes have well water. The water from these wells quite often has high iron content and can also have a sulfur smell. It is unpleasant to taste to some homeowners. One solution to this problem is to purchase an under the counter reverse osmosis system. You can purchase these at any home department store. The price ranges anywhere from $140.00 and up. You can hire a local contractor to install it or install it yourself. The reverse osmosis system has several components. It has a tank that holds the water, a series of filters and a faucet. 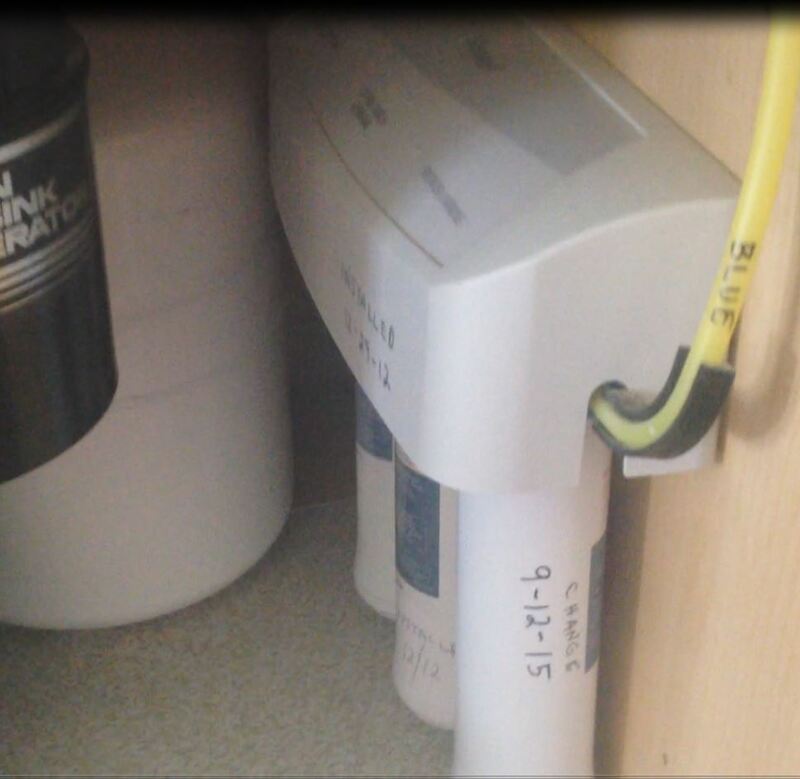 The tank and filters are usually placed under the counter below the kitchen sink. Then the faucet is placed next to your water spigot on the counter of the sink. The reverse osmosis system basically just filters your water so that it makes it more pleasant to drink and is also used for cooking. Additionally, you can tie it into your ice maker and water dispenser on your refrigerator in most homes. Follow the directions on the pamphlet included with the reverse osmosis system. Some require the filter to be replaced annually and others are every six months. Here is an example at Home Depot http://www.homedepot.com/p/GE-Reverse-Osmosis-Filtration-System-GXRM10RBL/202073853?MERCH=RV-_-rv_search_plp_rr-_-NA-_-202073853-_-N. Tags: Reverse Osmosis System, Well water solutions in Charlotte County Florida | Permalink.